Food: Soft Serve Society Part II, Shoreditch London - Daisy Chains. Another historic post! 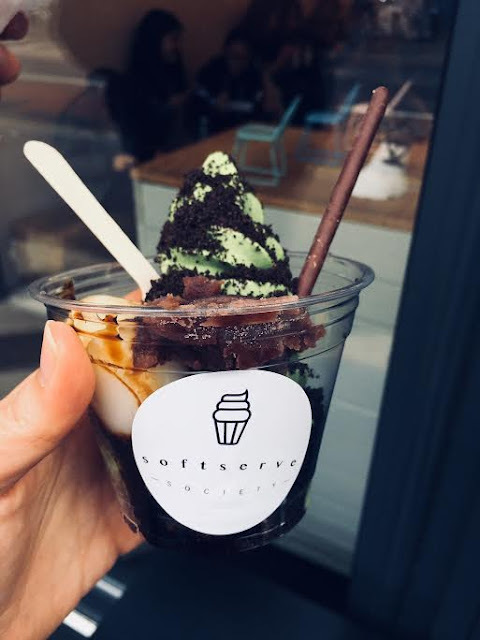 If you have been reading my blog, you may have read my previous post on Soft Serve Society. I apologise once again for drafting this post super late as I actually took these photos when Hobson came to visit me in either August 17 or July 17. Hobson got the Cloud 9 sundae which was actually just a strawberry sundae with a massive cloud of cotton candy on top of it. 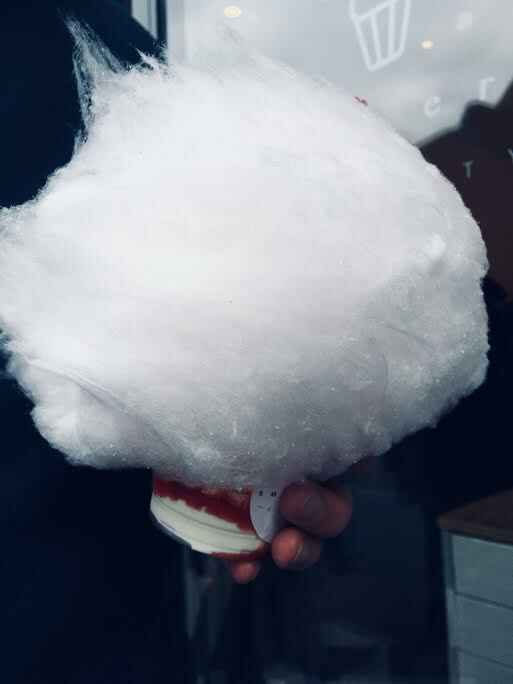 Hobson thought it was excessive and that he wouldn't be able to finish it but wow he devoured every single bit of the ice cream and cotton candy. I on the other hand got the Matcha sundae. The Sundae has Matcha soft serve ice cream in it, red bean paste, rice cakes and a chocolate pocky stick. What more could you want?! It was perfect. I really enjoyed having the rice cakes in the ice-cream and the matcha ice-cream was super-creamy and the matcha tasted good. I have such a thing where some matcha lattes or teas taste too much like either seaweed or overly malty. I just really hope that they come out with vegan versions of their soft serves soon so that I can try the others in the future.